MUSIC: The Shins are coming to Spokane in September to play at the Knitting Factory; tickets go on sale Friday. 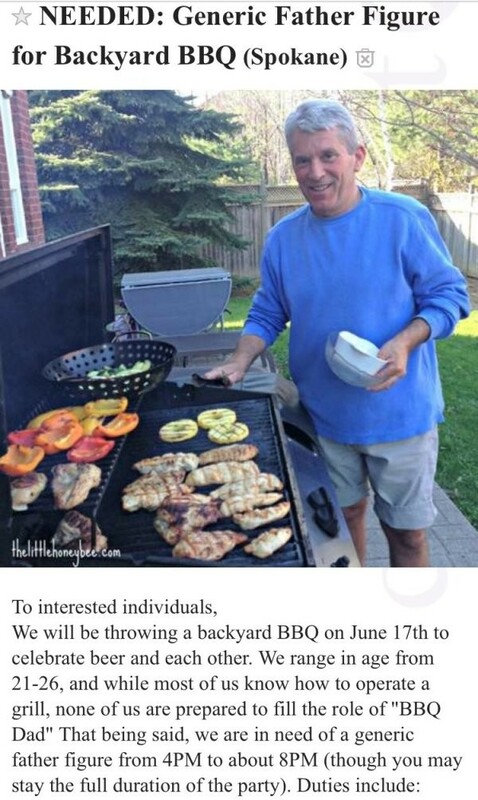 You may have seen the Spokane Craigslist ad looking for a "generic father figure" for an upcoming BBQ. The Spokesman-Review talked to the group responsible for the post, which has gone viral; they say there's now one more requirement, other than being able to "talk about dad things, like lawnmowers, building your own deck, Jimmy Buffett." The generic father figure actually must be Bill Murray.